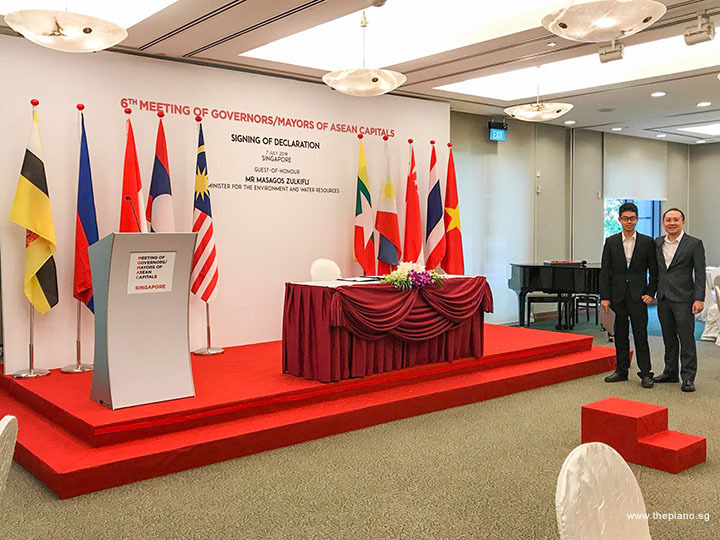 ThePiano.SG is honoured to have been invited by People's Association to deliver a piano performance at the Luncheon of 6th Meeting of Governors/Mayors of Asean Capitals (MGMAC) on 7 July 2018. This event, held at the Parliament House, was the latest instalment of the event and was hosted by Singapore this year. 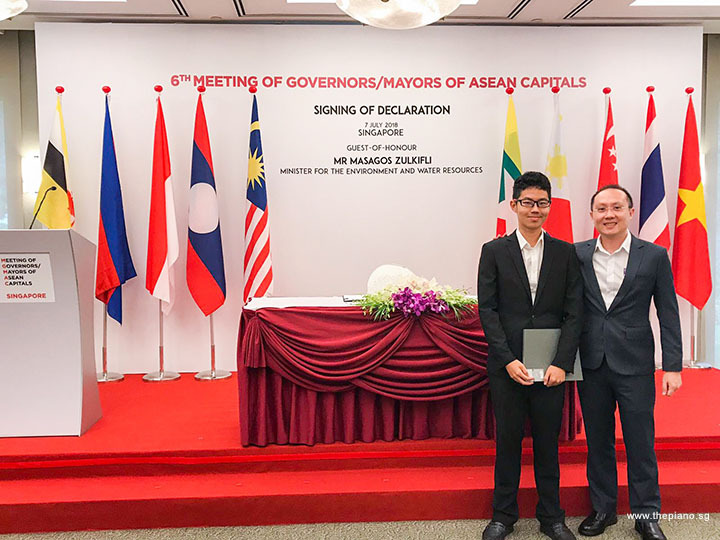 It was attended by over 40 delegates from the 10 Asean nations, and was chaired by Mayor Low Yen Ling, with Mr Masagos Zulkifli, Minister for the Environment and Water Resources as Guest of Honor. The MGMAC is an annual event that was first proposed and hosted by then-Jakarta Governor Joko Widodo in 2013. 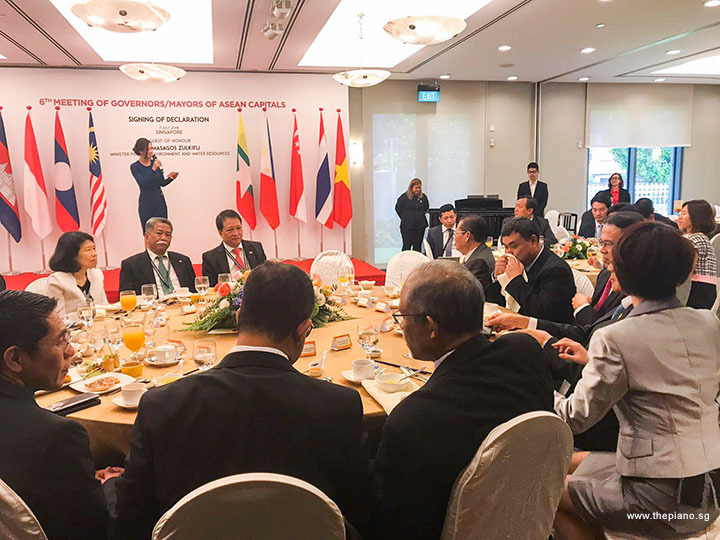 It is meant as a platform for the majors and governors of the capital cities of Asean member countries to discuss topics relating to their development. Among the topics discussed are urbanisation, climate change and sustainability. MGMAC has served as a useful platform for these leaders to come together and strength their links and work together. 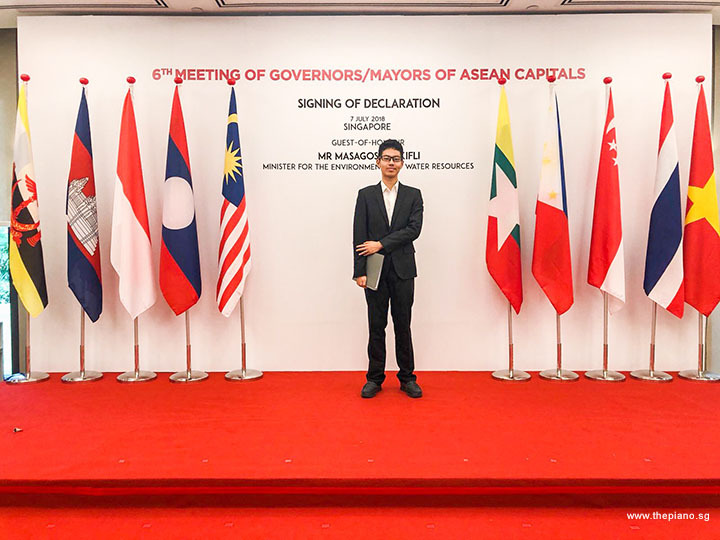 This year, the three-day-long 6th MGMAC ended with the signing of a Singapore Declaration that saw the leaders commit to building a sustainable environment in their respective capital cities. The pianist who played during the Luncheon of this event was Ma Yuchen, one of our Pianovers. Yuchen is a second-year student at Raffles Junior College. A day before the event, Yuchen had his rehearsal. 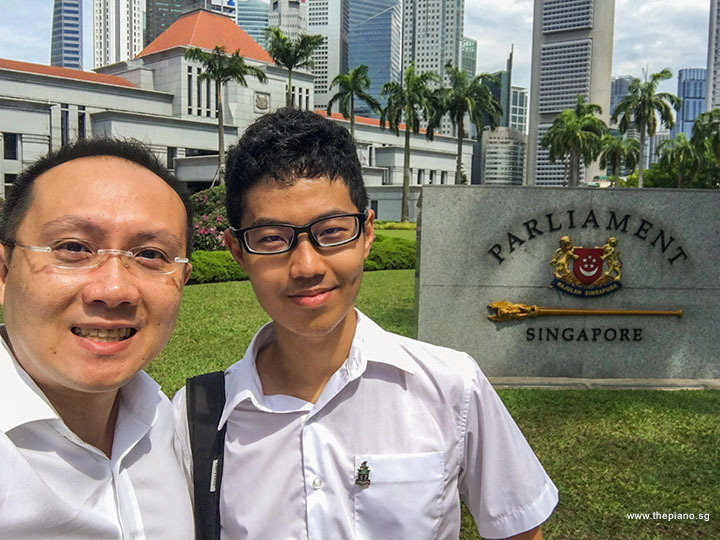 Yuchen arrived at the Parliament House right after his classes, still dressed in his school uniform. 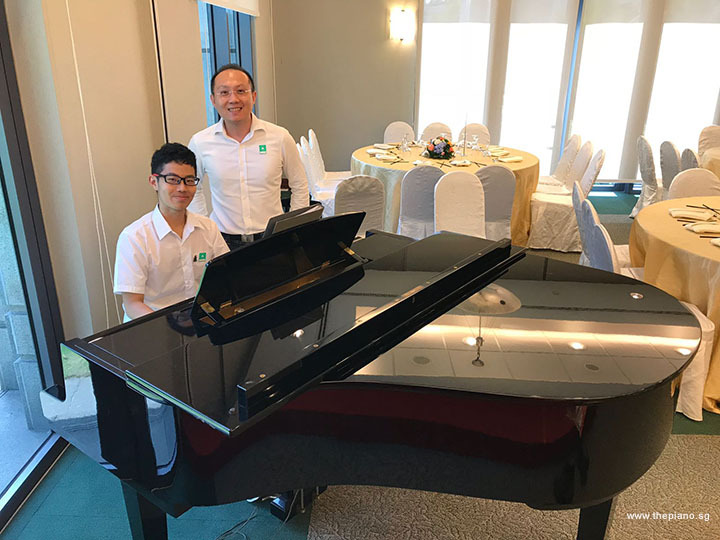 For an hour, Yuchen played the piano at the Luncheon venue, so that he could familiarise himself with the piano and the playing environment. This was so that he would be able to give his very best on the actual day. 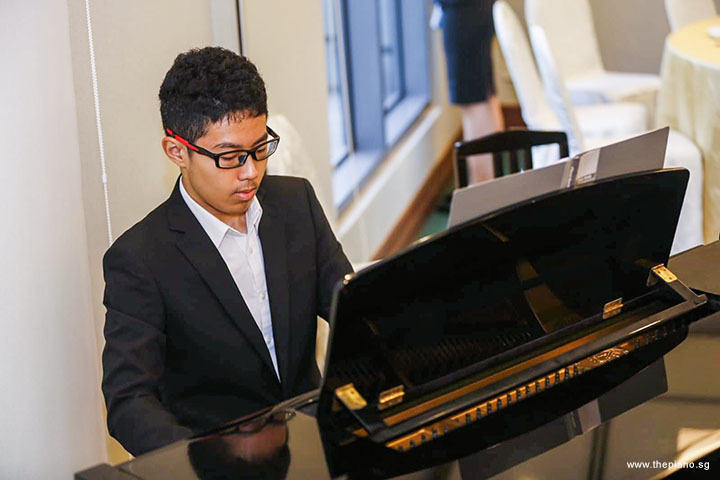 Yuchen had completed his The Associated Board of the Royal Schools of Music (ABRSM), Grade 8 Practical, in 2012. Five years after that, in 2017, he participated in the Singapore Young Talents Project and emerged Semi-Finalist. The following year, he starts to pursue Trinity College London Licentiate Diploma (LTCL), and subsequently took part in the Piano Island Festival 2018. Yuchen, at only the tender age of 18, is passionate about classical music. Apart from playing the piano, Yuchen also indulges in various hobbies, like mathematics, basketball, and table tennis. 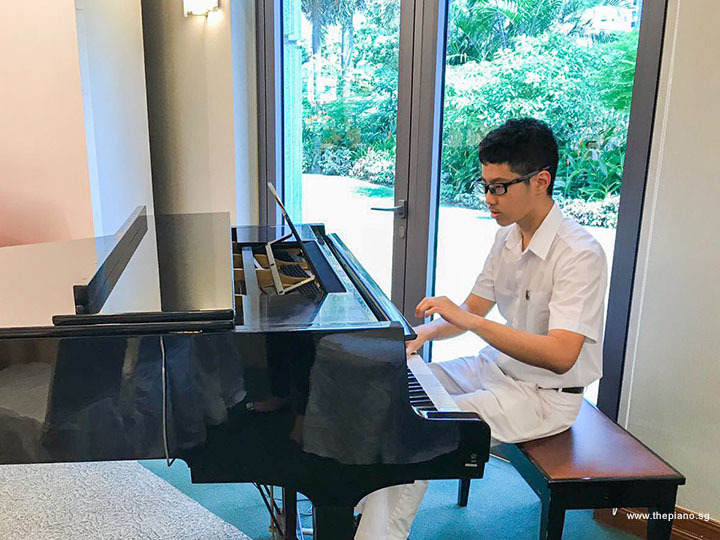 Although Yuchen is studying in a public school, like most students of his age, he is deeply passionate about the piano and is looking to studying music in the future. Yuchen first joined Pianovers Meetup in December 2017, with the aim of becoming involved with the local piano community. Yuchen hopes that by being actively engaged with like-minded people, he will be able to share his learning experience. With over 1,700 public peformances and almost 10,000 members, Pianovers, the passionate community of piano lovers in Singapore, was formed less than 2 years ago, in July 2016. 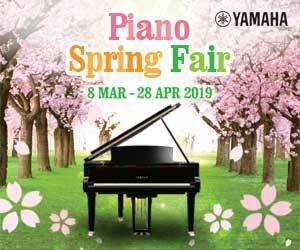 Founded by piano teacher-turned-entrepreneur Sng Yong Meng, this piano collective aims to make the joy of piano playing accessible to all piano lovers, regardless of background or expertise. The weekly Pianovers Meetup, held at Urban Park @ URA Centre every Sunday at 5pm, offers a platform for Pianovers to come together and perform on the piano publicly, to have an out-of-classroom exposure, to enjoy listening to the piano, and to socialise with like-minded piano lovers. The Meetup is more than about connecting people in the piano community. More importantly, it strengthens the Singapore spirit, and promotes racial harmony as people of all races, languages, religions, ages, and gender come together and indulge in this communal space to make music. In doing this, Pianovers Meetup also spreads the joy of playing the piano. We have lots of talents in our local piano community, and every week, we continue to help existing Pianovers build their performing profiles. 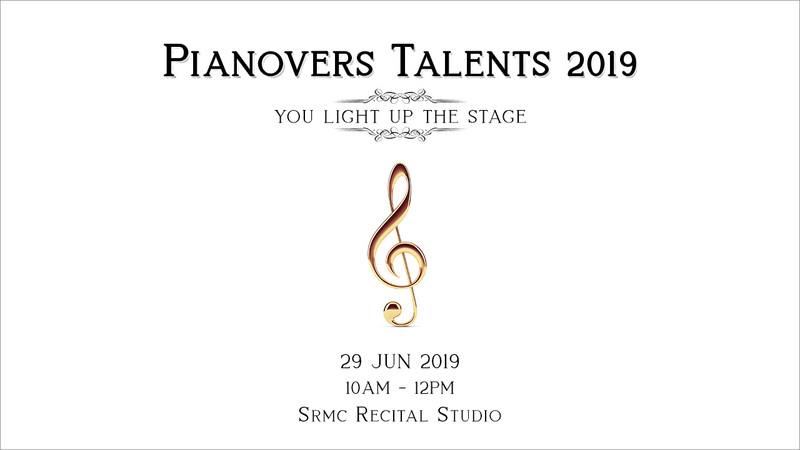 We continuously discover new talents, we want to our Pianovers to be recognised and we strive our best to find opportunities for Pianovers to play on bigger stage. 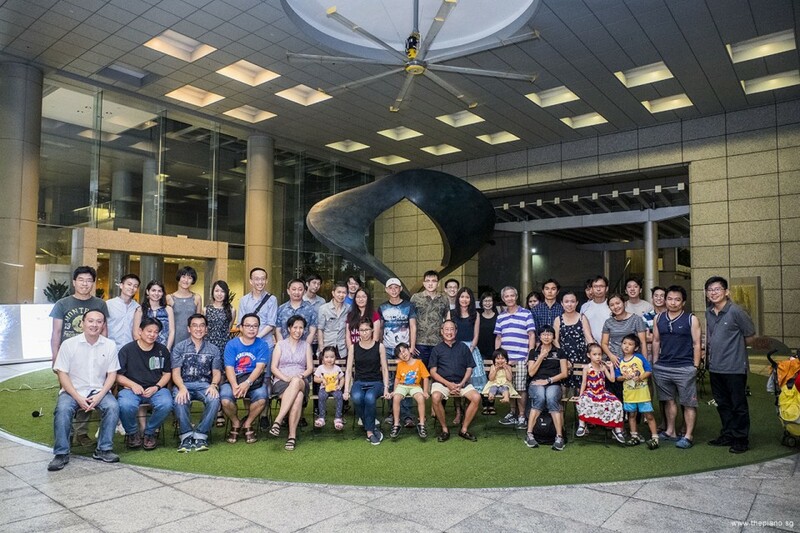 Prior to the 6th MGMAC, we were engaged by an Event Organiser - Planitswiss - to supply piano and pianists to play at the lobby of a luxurious condo in the CBD - Wallich Residence. Our Pianovers who participated in this project exceeded the expectations of both the organisers as well as the residents, and we continue to deliver our best. We hope to work with more Event Organisers and continue to explore opportunities for our Pianovers to play on a bigger stage. I feel like people either love me or hate me, which is good, because that was the point of what I do. The point of M.I.A. is to be - it's either to be loved or hated. At least you evoke that much of a strong opinion about music.